A season ago, Bob Stitt knew he had a juggernaut coming to Washington-Grizzly Stadium for his first game as the head coach at the University of Montana. North Dakota State’s trip to Missoula sat atop a list that might have seen a mile long for the longtime head coach making his Division I debut. More than a year later, Stitt and his Grizzlies will make their 2016 debut under the lights on Saturday night against St. Francis. 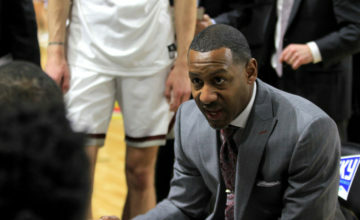 Although the tiny private school from Pennsylvania is largely unknown in terms of personnel and how it might match up with UM and certainly pails in comparison to the talent the five-time defending national champion Bison brought to town last season, the rest of the routine seems entirely more comfortable for Stitt, his coaching staff and the Griz players. Stitt and the majority of his coaching staff return — defensive coordinator Ty Gregorak famously went across the mountains to coach at archrival Montana State — but the Grizzlies’ roster underwent a major renovation entering the 2016 season. In the off-season, the Griz added 46 new players between the end of the season and the opening of fall camp the first week of August, including 14 transfers, seven of which hail from the FBS ranks. A good deal of the new faces were with Montana during spring drills and all of them were with the Griz for the recently completed fall camp. The offensive line returns two three-year starters in senior guard Devon Dietrich and junior tackle David Reese along with senior tackle Jackson Thiebes, senior center Ben Weyer and senior guard McCauley Todd, all who have starting experience. Todd, a starter at guard last season, is now playing tackle to make way for talented redshirt freshman Angel Villanueva. Montana’s ability to protect Gustafson in its opener and throughout the season will be a key factor in UM’s success. St. Francis runs a 3-4 defense filled with multiple pressures and zone blitzes from various angles, Stitt said. Communication by Gustafson, Weyer and the rest of the front line will be crucial to keeping the 6-foot-7 gunslinger upright. The ability to protect Gustafson overall will also play a factor if the Griz are to chase a Big Sky title this fal. Last season, Gustafson threw for 434 yards and three touchdowns in Montana’s thrilling 38-35 victory over NDSU to open the Stitt era. Two weeks later, he suffered a serious leg injury against Liberty and Montana’s offense struggled with Chad Chalich at the helm, although UM went 2-0 in games Chalich started and finished. The backup went down against Weber State and third-stringer Makena Simis’ fumble in overtime cost UM as the Wildcats posted their first win in Missoula in a generation. Simis tied a school record with six touchdown passes the following week in a 42-16 win over North Dakota only to throw three interceptions in a 35-16 loss at Portland State. Gustafson’s return sparked blowout wins over rivals Eastern Washington and Montana State to get the Griz in the playoffs and his detailed game management helped UM post a 24-17 win over South Dakota State in the first round of the FCS playoffs. Stitt’s up-tempo spread offense has a goal of running 90 plays per outing in an effort to wear out opposing defenses. The Griz accomplished the goal against NDSU before having to slow down the pace to adjust to second and third-string quarterbacks with Gustafson on the shelf. Montana loses its top three pass catchers in Jamaal Jones, Ellis Henderson and Ben Roberts. Jones left Montana as UM’s all-time leader in receiving yards, breaking Chicago Bears standout Marc Mariani’s school record. 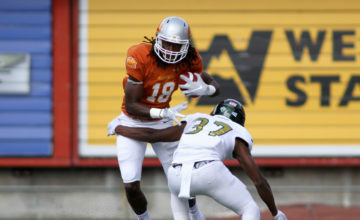 Roberts played football for one season after playing baseball for four years at Washington State and is still battling to make the Tennessee Titans’ roster. Junior Josh Horner, a Great Falls C.M. Russell product, is back at H receiver, the moving part similar to a tight end in Stitt’s four-wide offense. He caught 22 passes for 294 yards and a touchdown last season. The rest of the receiver rotation will include sophomore Keenan Curran, who caught four passes last season, Nebraska graduate transfer Lane Hovey, Blinn College transfer James Homan, sophomore Caleb Lyons and the redshirt freshmen trio of Jerry Louie-McGee, Justin Calhoun and Kobey Eaton. John Nguyen, Treshawn Favors and Jeremy Calhoun return as Montana’s primary running backs. Joey Counts will not play in Week 1 as he continues to fight legal troubles off the field, Stitt said. Defensively, Montana’s unit should look entirely different, both in personnel and scheme. Jason Semore takes over after Gregorak’s much-publicized departure. With him, he brings a multiple defense predicated on team concepts, keeping offenses on their heels and forcing turnovers. “It will be more of a team concept whe\re you take care of your business,” Stitt said I an interview in June. “We always prided ourselves on how many sacks we could come up with but if you are just pinning your ears back and you’re not worried about the run, you will get the sacks. But we want to stop the run. We want to get sacks. We want to do a lot of things on defense but the biggest stat we want to improve on is our wins. Montana’s list of star players it must replace is long, from FCS Defensive Player of the Year Tyrone Holmes to a stud linebacker group featuring Kendrick Van Ackeren, Jeremiah Kose and Herbert Gamboa who all depart to veterans in the secondary like Nate Harris, Justin Whitted and Eric Johnson. Caleb Kidder, a first-team All-Big Sky selection last season at defensive tackle last season, has moved to defensive end. The man who wears Montana’s vaunted, tradition-laden No. 37 is slated as a preseason All-America and the Big Sky’s preseason Defensive MVP despite not playing on the edge since his days wreaking havoc at Helena Capital. Senior Ryan Johnson and junior Tucker Schye will bookend Kidder. To bolster its interior, the Griz brought in defensive tackle transfers Brandt Davidson, who will start next to senior Zach Peevey on Saturday night, and Myles Mckee-Osibodu from the junior college ranks. 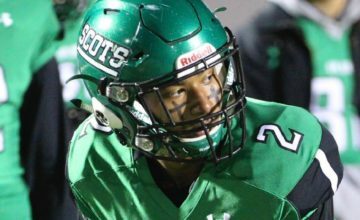 James Banks comes to UM from UAB by way of Sheldon High in Eugene, Oregon, the same school that produced All-Big Sky quarterback Jordan Johnson (2010-2014) along with current Grizzlies Conner Strahm, the slated starter at middle linebacker, and wide receiver Mike Ralston. Athletic outside linebacker Josh Buss, who has been knocking on the door for the last two seasons, rounds out the linebackers. The secondary could feature four players with FBS experience, including returners safety Yamen Sanders, a preseason All-Big Sky selection who came to UM from Arizona before last season, and Markell Sanders, a former Washington State standout slated to start as cornerback as a sophomore. UM’s other cornerback spot will be filled by TJ Reynard, a graduate transfer from Wisconsin. JR Nelson, a starter last season, will miss the first half of the season due to a suspension stemming from a failed drug test in the off-season. UM also brought in Oregon State transfer Justin Strong to bolster the safeties, but redshirt freshman Josh Sandry, a Big Fork product holds the No. 1 spot on the depth chart. The overhaul of the Montana program is underway. Although Montana qualified for the playoffs last season, the finish was a far cry from UM’s glory days, something Stitt used the opoportunity to talk about at every turn during the off-season. Between 1993 and 2009, Montana qualified for the playoffs 17 straight times, winning 15 Big Sky titles and advancing to seven national championship games during the impressive run. UM won a record 12 straight league titles between 1998 and 2009 and capped the 1995 and 2001 with national championships. 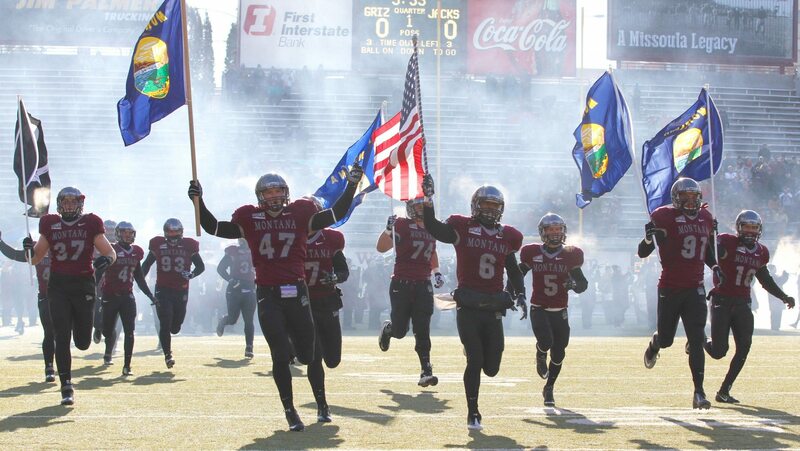 Montana has advanced to the playoffs four times this decade but has not made it to an FCS final four since 2011. That season also marks the last time UM won a Big Sky crown, but that title was vacated due to NCAA violations. UM’s last official Big Sky crown came seven years ago.